For me this is another Montreal classic, open since the late 60’s this is one of the place I use to visit once a year. Unfortunately it had been a couple of years since I last went for their ribs. They are known for both their chicken and their ribs but if you visit you must try the ribs. Depending on how hungry you are you might be satisfied with the half hawg but if you are really hungry you will be satisfied with the full hawg. If you want to try both their chicken and ribs they also have a combo. You have choices of sides from fries to onion rings and mashed potatoes and also coleslaw and garden salad. 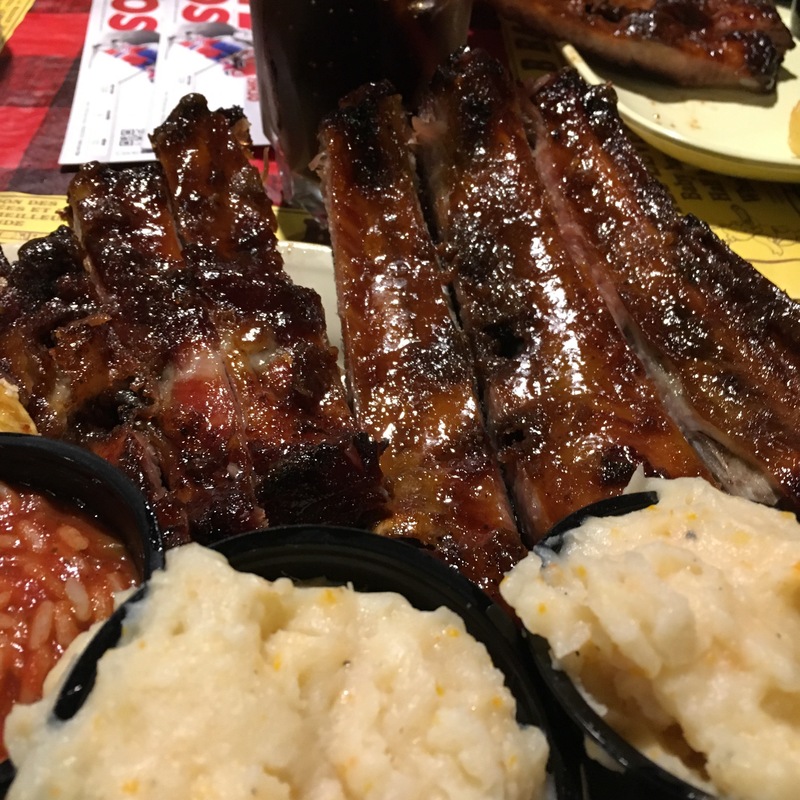 I always liked the ribs since they have lots of meat on them and are different then what you are use to get in other restaurants both by texture and the sauce that they use. This is local comfort food for me and it’s always a good place to go before a hockey or football game as the location is very close to Bell Center and not too far from Percival Molson Stadium.